It's rare for customers to need to return Crucial products. However, if you do have a problem, we want to make receiving a refund or exchange as easy as possible. If you have any problems with your memory during the 45-day money-back period, please contact Crucial Customer Support. We'll give you an RMA (return material authorization) number that will help us track your return and make sure you receive your refund or exchange as soon as possible. In the unlikely event that your memory fails after the 45-day money-back period, please call us! 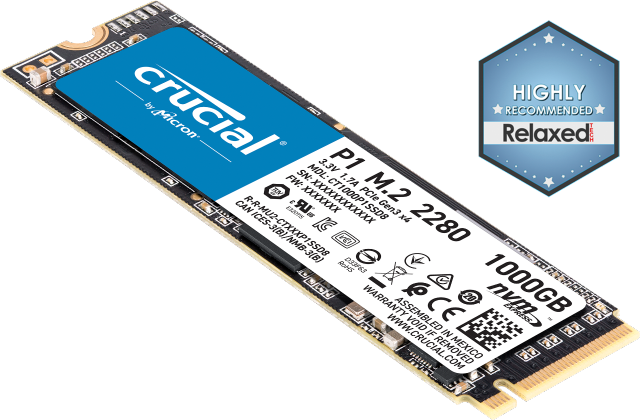 At Crucial, our limited warranty guarantees that your memory will work properly. Think you received faulty memory? Oftentimes, parts that appear to be defective are actually fully functional — they just aren't installed or used properly. If we're able to, we'd like to save you the hassle of returning your upgrade by walking you through several common installation and use scenarios. Our simple solutions help most of our customers solve any problems they may encounter with their Crucial product. For more help, you can also contact Crucial Technical Support. For details about how the return procedure works, see How to return an item. Note: To protect against abuse of our return policy, we reserve the right to charge a restocking fee (up to 20%) at our discretion. All Returns: If your product has a modification that is not covered by our limited warranty, we regret that we cannot issue you a refund or replace the product. Please retain shipping information, including tracking numbers, until your account or original credit card has been credited by Crucial or until you receive a replacement product. Replacement products may be new or refurbished. 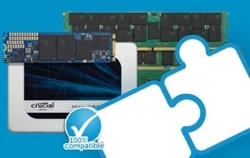 DRAM Returns: Please return the product to Crucial with each piece securely packaged and individually placed in the original clamshell, an antistatic bag(s), or placed appropriately in the slots of ESD tray(s). Also include a copy of RMA email with the contents of the package. This process ensures the product does not receive any damage while being returned; Crucial is not responsible for damage to an improperly packaged product. If you are returning an SSD, USB Flash drive or other Flash card, you will not receive the product back; so, please make sure you have saved the data on the product to another location before you return it. In order to protect your privacy and other interests, please securely delete all data from the product before you return it to Crucial. The returned product may be repaired and resold to another party as a refurbished product by Crucial. As part of the repair process, Crucial will take reasonable steps to overwrite any remaining data on the product, however, Crucial is not liable for loss or misuse of any personal data stored on returned products. International Returns: You may be required to pay taxes and duties on the replacement order if the product being returned was not purchased directly from Crucial.com. If you have your receipts showing that taxes and duties were paid on the original order, you may be able to request a reimbursement. Check with your local government agency to determine if a reimbursement is available to you. If it is they can provide information on where to get the required forms. Please submit your request to the address listed on the forms as Crucial is not responsible for any reimbursements. Resellers: To avoid a restocking fee and/or refusal of your RMA, remove any labels and glue residue that you may have added to the product(s), leaving the OEM, Crucial, or Rendition labels intact. If you have further questions, please visit the Crucial Community at https://uk.crucial.com/gbr/en/support For sales questions, try our online chat service at https://uk.crucial.com/gbr/en/support-contact.